Admission is $15 at the door. How to get that bluegrass sound on your fiddle. 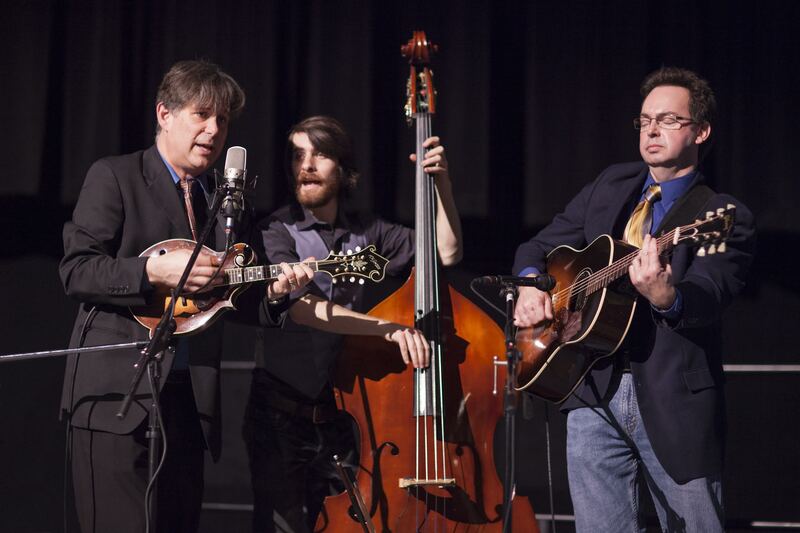 How to work that fiddle into a bluegrass band. 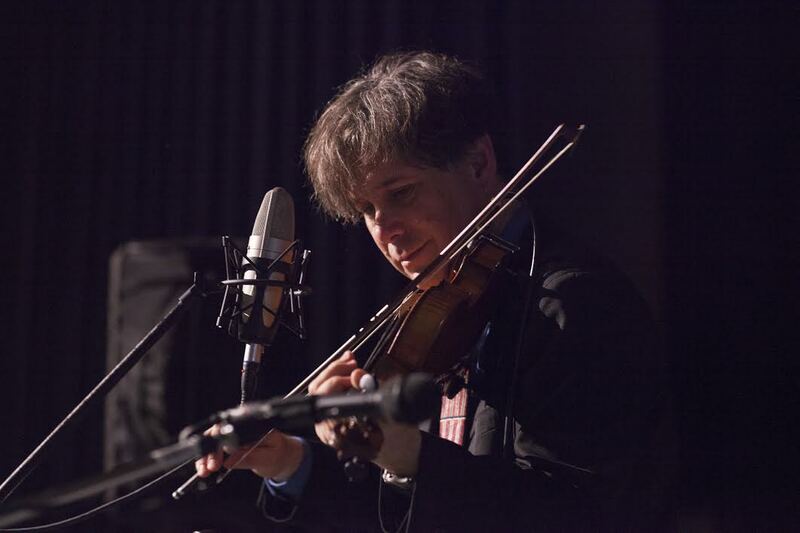 Colby moved to Chicago in 1995 to work with The Special Consensus bluegrass band where he rubbed elbows and shared the stage with many of his heroes like Tim O’Brien, Scott Nygaard, Sally Van Meter, Laurie Lewis, Slavek Hanzlik, J.D. Crowe and John Hartford. Along the way Colby studied fiddle with Missouri State Champion Charlie Walden and played for a short time in a duo with young banjo wizard Noam Pikelny. Colby teaches at the Old Town School of Folk Music now, and in 2006 he won first prize at the Rocky Grass mandolin competition in Lyons, Colorado. Recent side projects include playing on the soundtrack for the recent PBS documentary The Hayloft Gang: The Story of the National Barn Dance, narrated by Garrison Keillor and singing on the soundtrack for the Newberry Library’s Homemakers of the Civil War: Sheet Music. The first two tunes below were recorded by Colby alone. He has Sunnyside Up guitar-backup on the last. Katie Bern drove up to Lincoln Square from Palos Heights to enter our Midwest Fiddle Championship for several years running. (Her younger sister Kristen is still a regular entry, but Katie has missed the last few contests as she completed a degree in music education at Belmont University in Nashville.) In 2006, Katie placed fourth in the Fiddle Team division in a duet with her neighbor Matt Danaher. They came back the next year and took 2nd place. 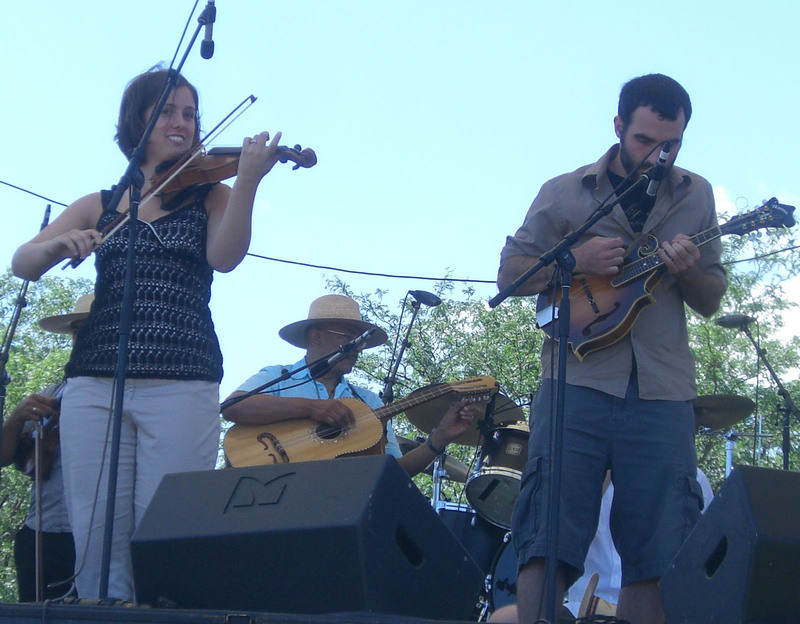 This week’s tune of the week (submitted just in the nick of time) was played by Katie and Matt in the Championship finals in 2007 on the main stage at the Chicago Folk & Roots Festival. “Poor Muriel” was composed by local bluegrass and jazz guitarist John Parrott. More info about Katie’s visit to Fiddle Club — and more tunes! — is posted below. Transplanted southerner Ed Cosner has been introducing scores of younger fiddlers in northwest Indiana to the sounds of bluegrass. 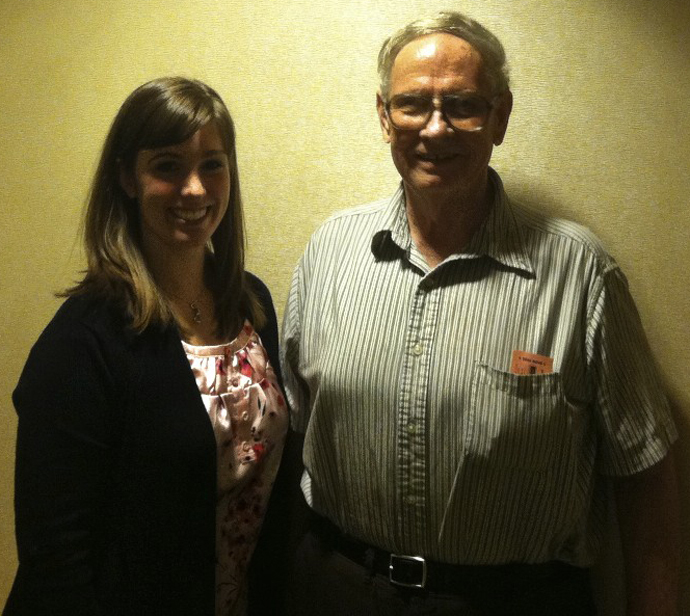 Katie Bern, a past winner in our Midwest Fiddle Championship, was one of his finest students. Some tunes from the teacher, Mr. Cosner . . .
And one from Katie, the student . . .
$15 dues for this meeting, click here, or choose the year-long subscription option ($60 for 12 months of Fiddle Club). Click here to register. Dues for this meeting are $15. Kenny Stone is veteran bluegrass fiddler, with a performing career that started when he was nine. He released his first album in 1989, at the age of nineteen, and followed that up with series of recordings and tours with a variety of bands, including his own, the Kenny Stone Unit and Midwest Wind. Family life and work has taken him off the road. But he continues to perform with the Chicago Bluegrass Band and to teach select students at his home in Dyer, Indiana. 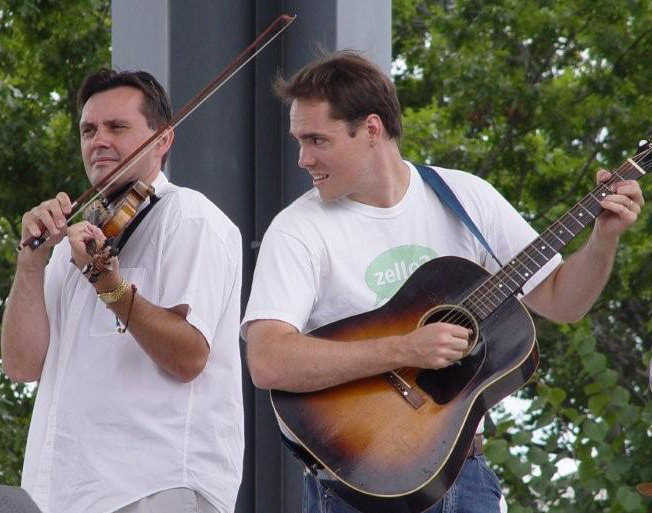 The Fiddle Club of the World is pleased to present Kenny Stone to a new audience of fiddlers. He’s looking forward to playing through a potpourri of standard old-time and bluegrass tunes. He’s also offered us several of his own originals. Beginning January 1, it will be possible to pay yearly dues and be able to enjoy all Fiddle Club of the World events at a significantly reduced rate. Also, enrolling in a “Fiddleship” allows you to support regular presentations of traditional fiddle music. Important Notice: We apologize, but once again we must postpone Kenny Stone’s visit to the Fiddle Club of the World. The workshop listing currently reads that the new date is March 7, 2010. That date is not yet confirmed. Check back soon. I guarantee that Kenny Stone will be our featured artist soon and help us become more bluegrass-worthy. Kenny Stone is veteran bluegrass fiddler, with a performing career that started when he was nine. He released his first album in 1989, at the age of nine, and followed that up with series of recordings and tours with a variety of bands, including his own, the Kenny Stone Unit and Midwest Wind. Family life and work has taken him off the road. But he continues to perform with the Chicago Bluegrass Band and to teach select students at his home in Dyer, Indiana. Kenny Stone will be featured guest at the Fiddle Club of the World meeting on January 24, 2010 at 4:00 pm at the Leadway Bar & Gallery (5233 N. Damen). Click here to register.